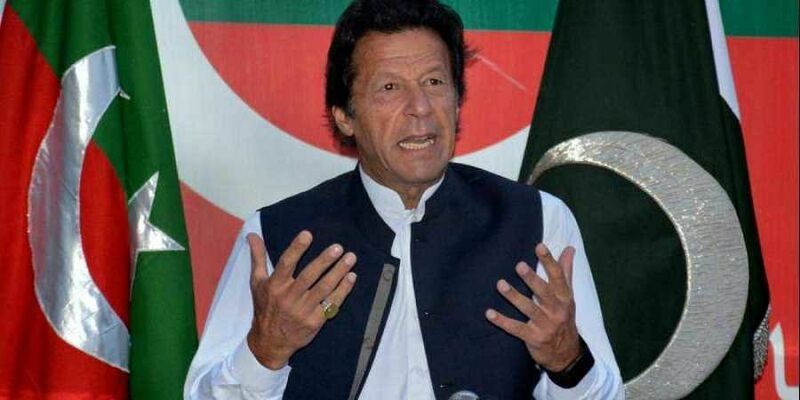 ISLAMABAD: Imran Khan will be named tomorrow as the Pakistan Tehreek-e-Insaf party's candidate for the next prime minister of Pakistan and he is set to initially form a Cabinet of 15 to 20, according to media reports today. "A parliamentary meeting of the party will take place tomorrow at a private hotel in Islamabad," PTI spokesperson Fawad Chaudhry was quoted as saying by the Geo News. "Imran Khan will be formally announced as the party's nominee for premier during the meeting," Chaudhry said. Claiming that the PTI now has the clear support to form the government in the centre, Chaudhry said, "PTI's seat tally in the National Assembly currently stands at 125 after the inclusion of independents. "Allies and reserved seats will take the PTI tally to 174 seats in the National Assembly, he added. Pakistan's National Assembly comprises a total of 342 members, of which 272 are directly elected. All PTI candidates elected to the National Assembly have been directed to be present at tomorrow's meeting, Chaudhry said. Sources said the party has decided to induct Muttahida Qaumi Movement-Pakistan in the Cabinet. The MQM-P will have one minister in the federal cabinet, while an adviser would be inducted later, the report said. Meanwhile, Khan has decided to not give any federal ministry to the members of Pakistan Muslim League-Quaid (PML-Q). However, its leader Chaudhry Pervaiz Elahi would be nominated for Punjab Assembly speaker, the sources said.